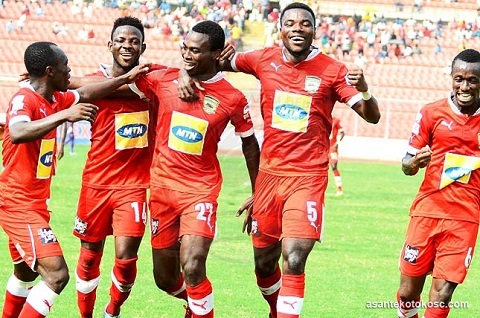 The Professional Footballers Association of Ghana (PFAG) has extended its well wishes to Kumasi Asante Kotoko as they get set to kickstart their Group C CAF Confederations Cup campaign against Al-Hilal in Sudan on Sunday. The Porcupine Warriors will be confident of making a bright start in the competition; and the PFAG is backing the team to once again excel in their continental club endeavours. The two sides have previously crossed paths, with Kotoko overcoming tough weather conditions, a partisan home crowd and a first leg deficit to edge out their Omdurman-based foes en-route to reaching the final of the maiden edition of the CAF Confederations Cup in 2004. The PFAG urges coach C.K. Akunnor and his Porcupine Warriors to once again rise to the challenge and grab the precious 3 points on offer, so as to begin their continental campaign on a winning note. The PFAG remains here with you and for you!